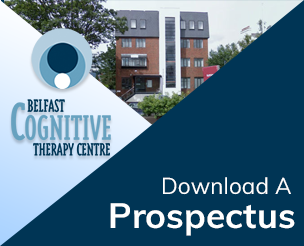 Belfast Cognitive Therapy Centre (BCTC) was established twenty years ago to help promote standards of excellence in counselling / therapy and training. It has won several awards including Finalist in the prestigious National Training Awards and Investors in People Award. It was the sole organisation in Northern Ireland to be cited in a Government Report into Counselling. Anne Kelly, a HCPC Registered Psychologist and a BABCP accredited Cognitive Behavioural Psychotherapist, is the Director. Nigel Peden is Centre Manager. All BCTC staff are either fully accredited with the British Association for Counselling and Psychotherapy (BACP) or the British Association for Behavioural and Cognitive Psychotherapies (BABCP). BCTC Course Assistants have usually completed the course with excellence or commendation and are working towards accreditation.